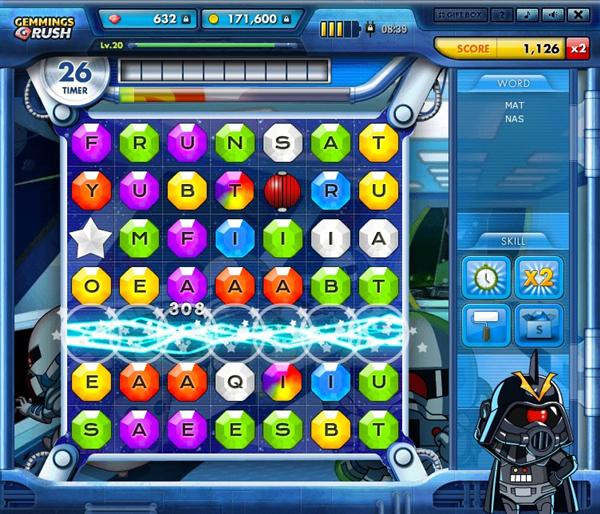 Gemmings Rush is a new match-3 and word game available on Facebook, where you need to obtain as many Gems as you can by clicking the same colored Gems. This is a key point of this brand new word and match-3 game, and the only time you’re allowed to have is just 60 seconds! There is no time to waste! Now, there are mainly two types of word game in the world so far: the existing word games and Gemmings Rush. This is definitely a new type of word game that holds a special fascination compared to any others. 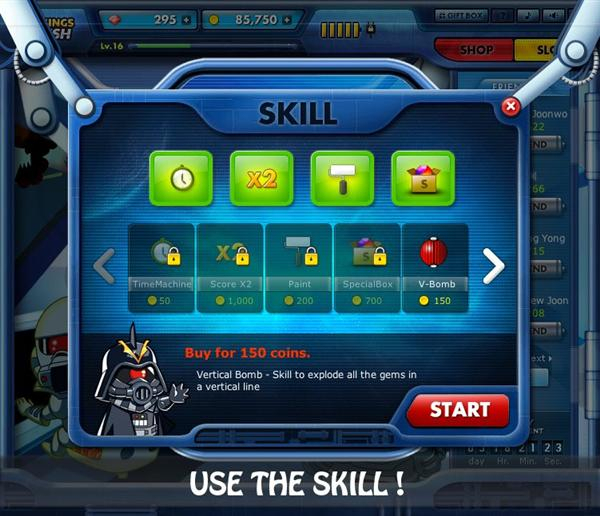 It’s designed by combining with the genre of word game and the Star Wars parody episode. The word game that has a story in it! That’s just what Gemmings Rush is. 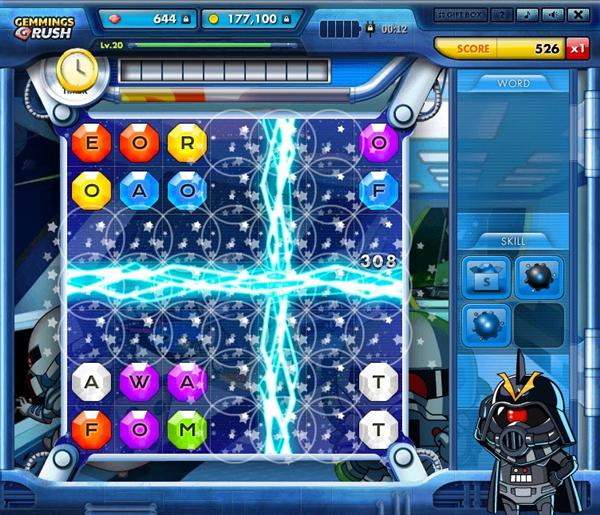 Without a doubt, you will enjoy this new, fun word game that tests your speed and sense of tactical strategy. Build your own words by combining same colored gems together! You’ll be fascinated by the extraordinary power of special gems and its fabulous hidden tricks in the game while you play. 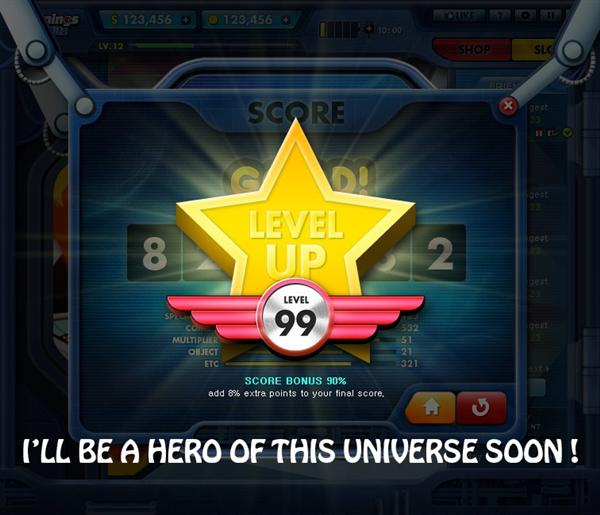 You’ll become a hero of this universe before you know it. Good luck with your challenge! “Are all the word games usually boring, aren’t they?” True, BUT! except for Gemmings Rush! 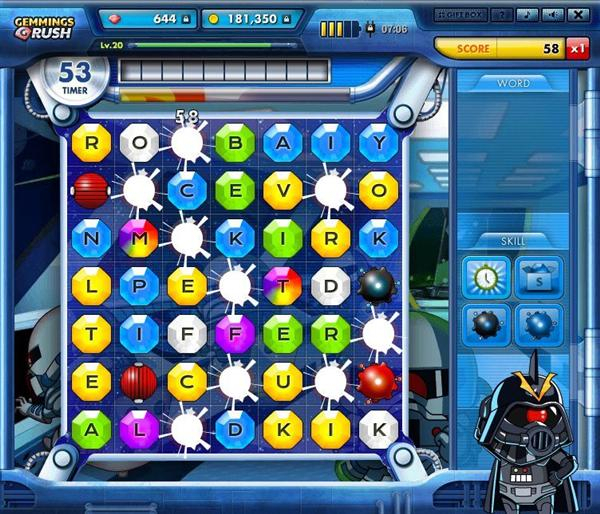 It’s a differentiated word game that requires immediacy, sensibility, and tactical strategies from users and once they play it, they will be fascinated by a particular charm of its gameplay. 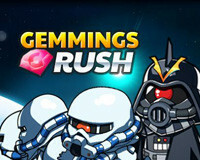 If you’re sick of playing an existing word game of the same pattern, soon you will be hooked on Gemmings Rush! You will feel great excitement of action by clicking and eventually will enjoy yourself feeling as if you became a super hero of the universe. This is the most “FUN” part of it. Furthermore, Gemmings Rush is an absolutely fun and attractive game even for those who have never got interested in any word games ever. They will be certainly enraptured by fabulous hidden tricks in the game. After 5 chances, you need to wait for 10min to get 1 chance for free otherwise you need to buy it with your cash or ask it to your friends. Related Tags: Gemmings Rush, Match-3, word & trivia.